Man United 2-2 Arsenal | Jose Mourinho We Want You To Stay! 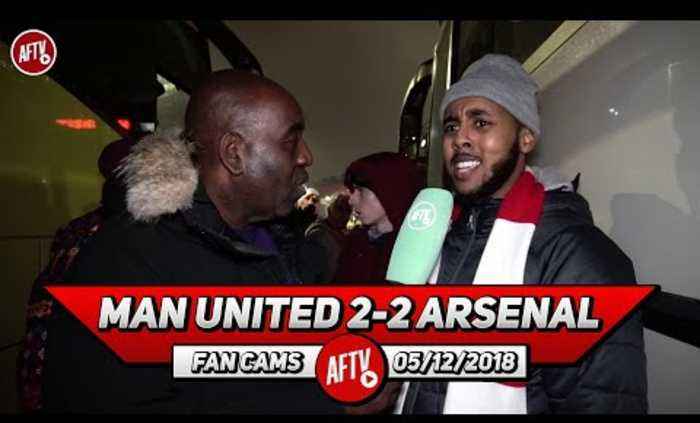 (Livz Ledge) SUPPORT THE AFTV ROAD TO 1 MIL SUBS : https://goo.gl/Zq9NcA Ian Wright's New Channel: https://youtube.com/ianwright Real Football Show Podcast: https://audioboom.com/channel/the-real-football-fan-show AFTV SHOP: http://goo.gl/rin8oW INSTAGRAM: https://goo.gl/FfTBNL TWITTER: https://goo.gl/pSKBuC FACEBOOK: https://goo.gl/w4YbW7 SNAPCHAT: https://goo.gl/mQRasi DISCORD: https://goo.gl/wXCCke VKONTAKTE: https://goo.gl/p5Y3fe TWITCH: https://goo.gl/Gx9g2n WEBSITE: https://goo.gl/Gsjncr DOWNLOAD THE UFF APP: http://www.uff.tv/appshare AFTV winner of The Best Overall Football Content Creators at The 2018/19 Football Blogging Awards AFTV is the Unofficial Voice of Arsenal Fans around the world. 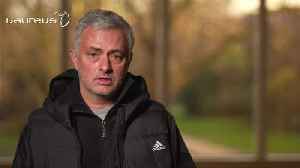 Former Chelsea and Man Utd manager Jose Mourinho says he hopes former arch-rival Arsene Wenger gets back into management as he says he has no regrets over their bitter past.